Time for our seventh Monthly Wrap Up for the 2016 Series Enders Reading Challenge hosted by Sandy @ Somewhere Only We Know and Holly @ Words Fueled by Love! 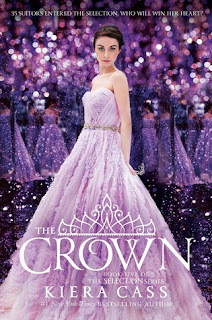 Since the June Wrap Up, I have finished one series ender this month: The Crown (The Selection, # 5) by Kiera Cass. Holly also finished one series enders this month: The Last Star (The 5th Wave, # 3) by Rick Yancey. Which series enders did you finish? Link the up below. 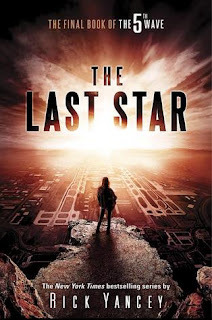 Don't forget to include the title, your name, & your blog name (Ex: Requiem - Sandy @ Somewhere Only We Know) Also, the July giveaway runs from July 25rd - August 25rd. On August 25rd we will use random.org and the linky entries to pull a winner. JenniferK wins this month's giveaway by default. The only other entries were from Holly and myself, and we're not eligible.